Description: Aerial of coal mining. 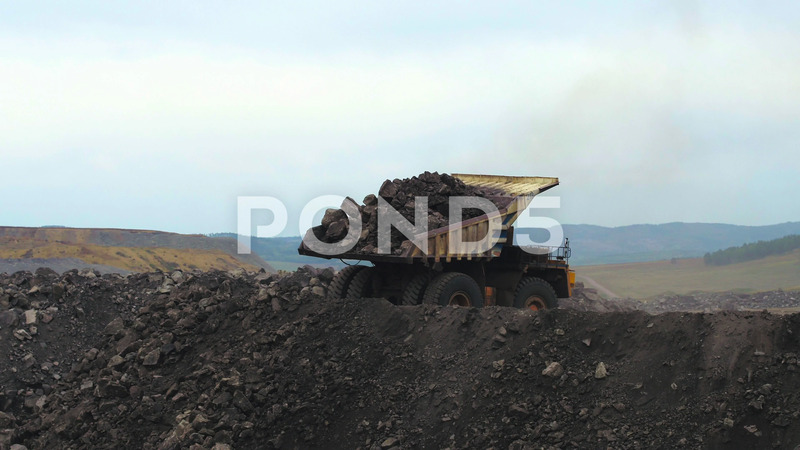 A giant truck with a body full of coal is pulling up to the edge of the mound. The truck is rising its body and dropping the coal. In the background we see green hills.